This dealership was started and run by my grandfather Jim, my dad Bob and my uncle Jim. They were Horse traders before becoming a farm machinery dealer,as many Allis dealers were! They continued the Horse trading along with the farm machinery for several years. There were 200 tractors sold in their first year of business. Part of their success the first year was due to the fact that they would take Horses in on trade for tractor's. The business continued on to be very successful. Than in December of 1955 my grandfather passed away! My uncle did not want to continue the business and my dad was having health problems and could not continue alone. 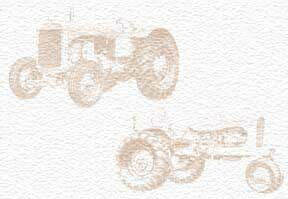 The dealership was disolved, the last tractor was sold in the spring of 1956. (WD-45) I have many fond memories of the dealership! I would like to hear from anyone who did business with them or knows anything about the dealership!